Another mini splurge from last week! I know you’ve seen these 100 times now, sorry! I only bought two things from the range though, aren’t I good? I was tempted by the chunky lip pencils and the LE eyeshadow trio too (gold,blue,red one)… but I resisted! At £6 each, I think these blushes are brilliant value for money and there are some lovely shades available. Flush is a warm pink… I would say Guava, but I keep going on about Guava shades… *whispers* Guava. Butterscotch is a natural neutral shade… it’s warm without being orange… lovely! This is heavily swatched and unblended. 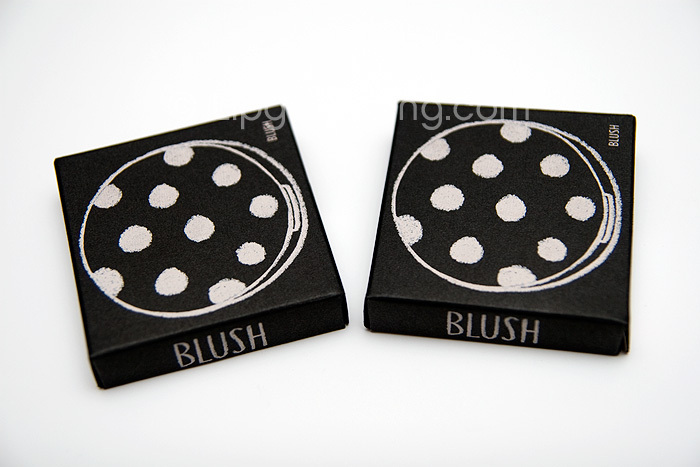 My favourite thing about these blushes is the finish… they’re cream to powder and they blend soooooooo smoothly. I’m crap at blending and I can blend these with my eyes closed. They’re completely forgiving to makeup incompetence. 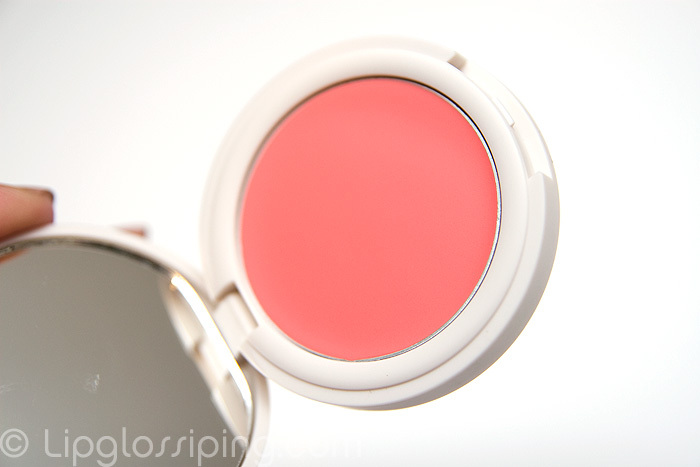 I really hope that Topshop bring out some more shades in the blushers… is there a cool-toned pink in the range? I don’t remember seeing one and I want one! If you don’t have a Topshop that stocks the range nearby, you can purchase online. Prices start from £4. I love the texture of the Blushes as well as their mutli-functional qualities…My Neon Rose is a close match to my Fave MAC Lippy Chatterbox! Hehe! Butterscotch looks amazing though! Gosh, i’m driven to go back and pick it up! Lol! I love the guava (!) in the compact but not on. I love the butterscotch on but not in the compact. Yeah, they release these AFTER I leave the UK and may never return. Sigh. *drooooool* I need to buy at least one of these, I’ve been wanting to try a cream blush for a while and for the price I don’t mind splashing out if I don’t even like it lol. I adore Flush, so pretty, I love wear it on my lips too. Yes, another post on the topshop range of makeup, and i probably commented on 3 of those already but this is the first one which shows me the true gorgeousness of the packaging. I noticed how cute it was, but I did not realise it was that divine and the definition of the uneven chalk font effect. Young, trendy, very catchy, affordable, looks like it’s super good quality too and if it wasn’t for terrible distribution of this, i would have probably jumped on the bandwagon and get some eye stuff. Yes, I am a bit annoyed at this (can you tell?) I know I live in the pits of the universe, but I would have expected this to be more widely distributed. How pathetic really: so affordable and yet just in miss selfridges or in the shops in london from what I gathered? Yes, I used the word ‘gather’ as trying to google a list of retailers didn’t yield any decent results. It’s all right, Topshop. I’ll spend aaaaaall my money somewhere else 😛 Bad enough, clothes at topshop seem to cater for people with no hips and bums, you finally do something to attract more people to your shop (other than jewellery) and what do you do? Make it super exclusive. nice one. The cream blushes look soo purdy! Definitely seem to be the most value for money in the line at £6. I like seeing posts on Topshop makeup as my small local store only stocks some of the nail polish, tube glosses and lipbalms so it is helpful to see products pics. I made an order online for the trio e/s (the silver/pink/purple) and the copper glitter, pink glitter nail polishes and matte topcoat. I really wanted to purchase more but as most of line is permanent I will wait till my next trip into London. I need to get Flush, it’s gorgeous! Love Flush, and I think you’re dead on calling it Guava! I’m quite obsessed w/ that shade lately too- it’s just the perfect bright, but not too bright, kinda pink/kinda peach, looks good with everything shade! Judging by some of the comments, it doesn’t sound like Topshop ships to the US (though didn’t they open one here not long ago?) I’m off to check anyway! another item on my shopping list. oh darn…. I got 2 colours of these but neither of the ones you have and now i want ALL the colours. 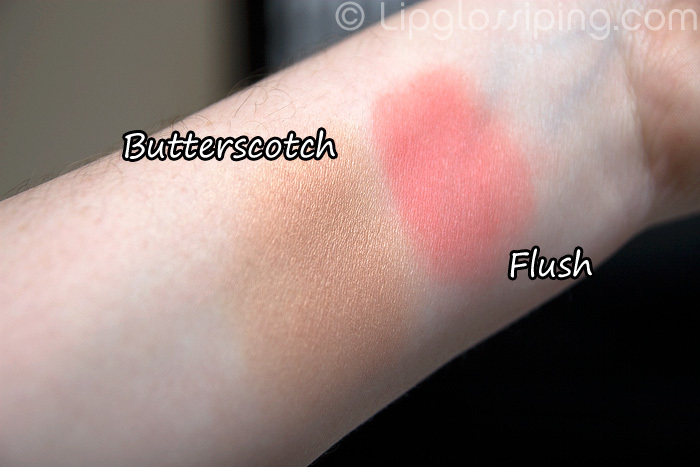 I think Flush looks amazing, it really is a guava shade and butterscotch looks like it would actually make a good contour colour on me. 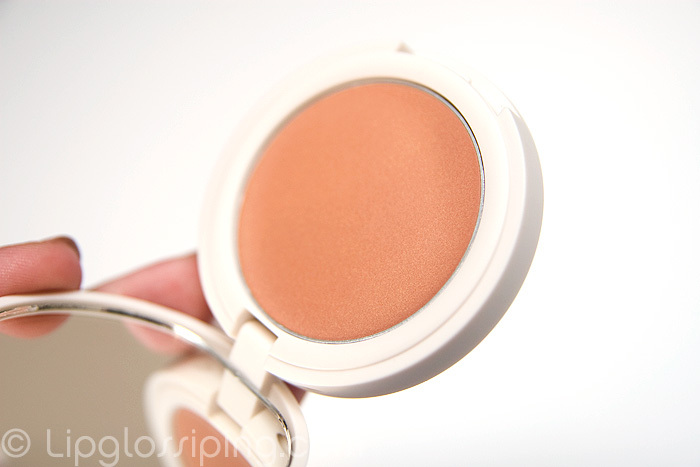 Butterscotch looks ordinary in the compact but is gorgeous swatched on your arm! Tempted to try it myself..
Those look awesome! I wonder if there’s a shop where I can test them in store but something tells me I’ll have to order online. *whispers back* I think you’re the reason why I’ve recently developed an obsession with guava shades.